AFC Telford stretched their unbeaten run under new boss Steve Kittrick at the Bucks Head as they shared a second derby draw of the festive period with fellow strugglers Nuneaton Town. In contrast to the drama of the 4-4 Boxing Day spectacular at Liberty Way, this time there were no goals. But that was largely down to Nuneaton keeper Callum Burton, on loan from Telford's local rivals Shrewsbury Town. 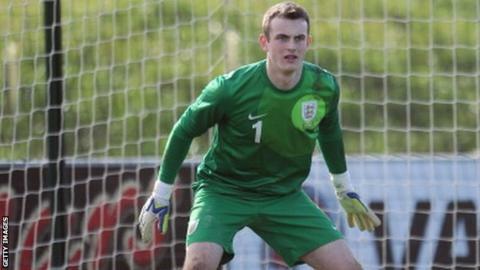 The England Under-18 international made a string of fine saves in both halves. Telford were without right-back Ryan Higgins who has agreed a deal to sign for Conference Premier rivals Chester. He withdrew from the Bucks' 16-man squad on the advice of his agent, who informed him that playing could jeopardise the deal. He saved from Tony Gray either side of the break, as well as two more superb stops to tip away Mike Grogan's header and Charlie Barnett's angled drive to extend their home run to three games unbeaten. Second-from-bottom Nuneaton followed up Sunday's first league win on the road this season at Altrincham with another away point. Match ends, AFC Telford United 0, Nuneaton Town 0. Second Half ends, AFC Telford United 0, Nuneaton Town 0. Attempt blocked. Adam Farrell (AFC Telford United) right footed shot from outside the box is blocked. Attempt missed. Sean Cooke (AFC Telford United) left footed shot from the left side of the box misses to the left. Substitution, AFC Telford United. Sean Cooke replaces Sam Smith. Attempt saved. James Armson (Nuneaton Town) right footed shot from the right side of the box is saved. Foul by Andy Todd (AFC Telford United). Ryan Smith (Nuneaton Town) wins a free kick. Attempt blocked. Tony Gray (AFC Telford United) right footed shot from outside the box is blocked. Foul by Adam Dawson (Nuneaton Town). Attempt missed. Adam Dawson (Nuneaton Town) left footed shot from outside the box misses to the left. Assisted by Gavin Cowan. Foul by Neill Byrne (AFC Telford United). Michael Gash (Nuneaton Town) wins a free kick. Attempt saved. Charlie Barnett (AFC Telford United) right footed shot from outside the box is saved. Attempt saved. Michael Grogan (AFC Telford United) header from a difficult angle on the right is saved. Assisted by Andy Owens. Andy Owens (AFC Telford United) wins a free kick. Callum Burton (Nuneaton Town) wins a free kick. Foul by Josh Hancock (AFC Telford United). Attempt saved. Michael Gash (Nuneaton Town) header from the left side of the box is saved. Assisted by Ryan Smith with a cross. Attempt saved. Adam Walker (Nuneaton Town) left footed shot from the left side of the box is saved. Offside, AFC Telford United. Sam Smith tries a through ball, but Sam Smith is caught offside. Attempt saved. Tony Gray (AFC Telford United) right footed shot from outside the box is saved. Second Half begins AFC Telford United 0, Nuneaton Town 0. First Half ends, AFC Telford United 0, Nuneaton Town 0.